Preheat oven to 350* Combine chopped vegetables in large mixing bowl. 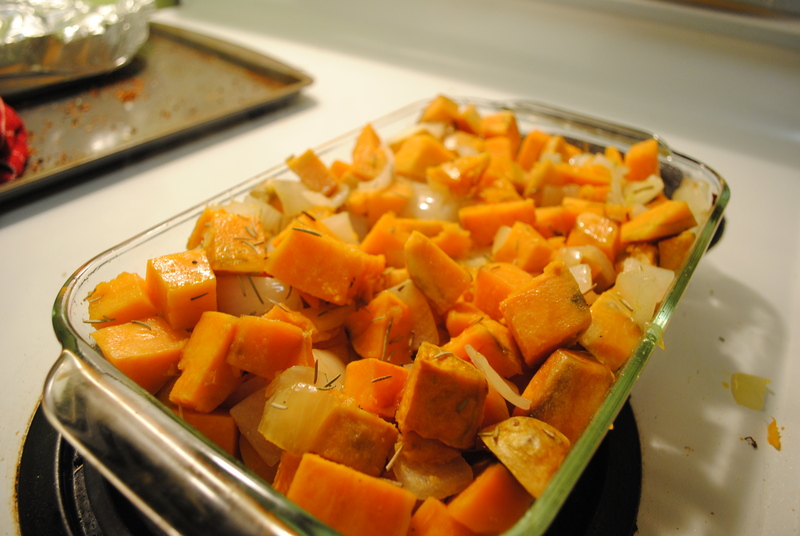 Toss veggies in in olive oil and pour into large casserole pan. Sprinkle with thyme, rosemary, salt and pepper. Roast 30-40 minutes, stirring occasionally, until tender. Remove from oven, mix in cannellini beans. Serve with honey mustard.